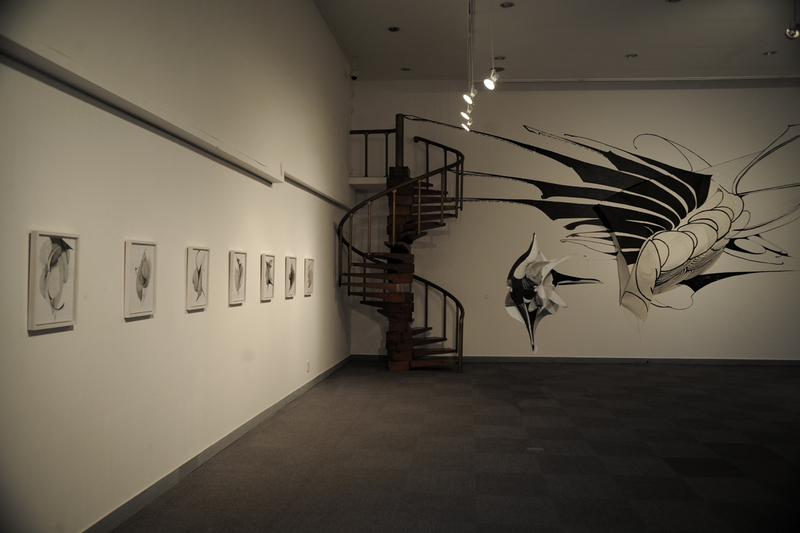 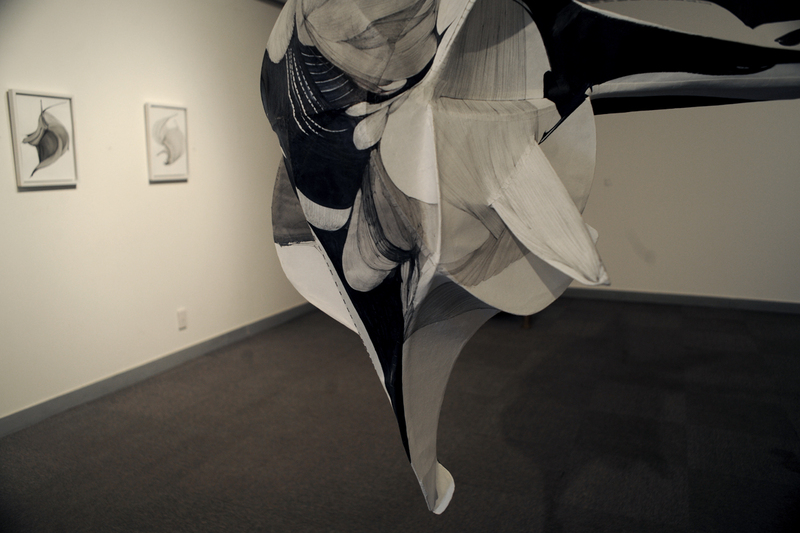 Ji-Yun’s pencil, black pen, and ink drawings on paper already have volume, depth and space on a two-dimensional surface and have the potential to develop into 3D. 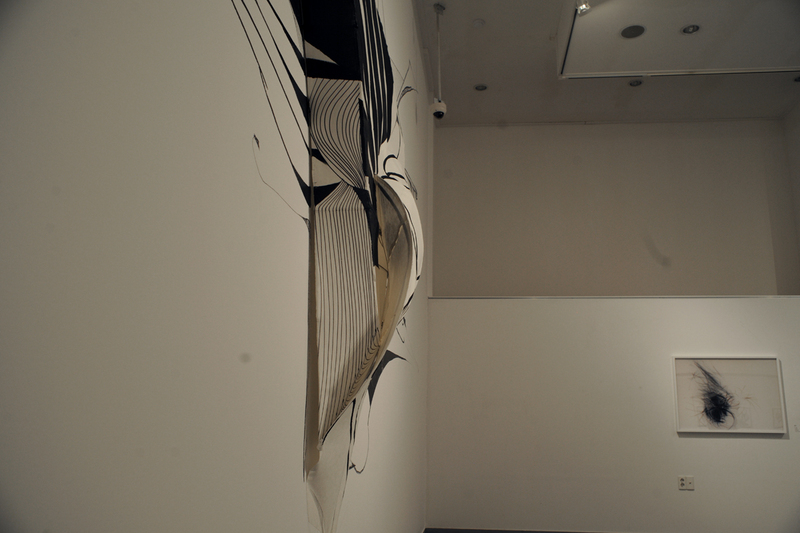 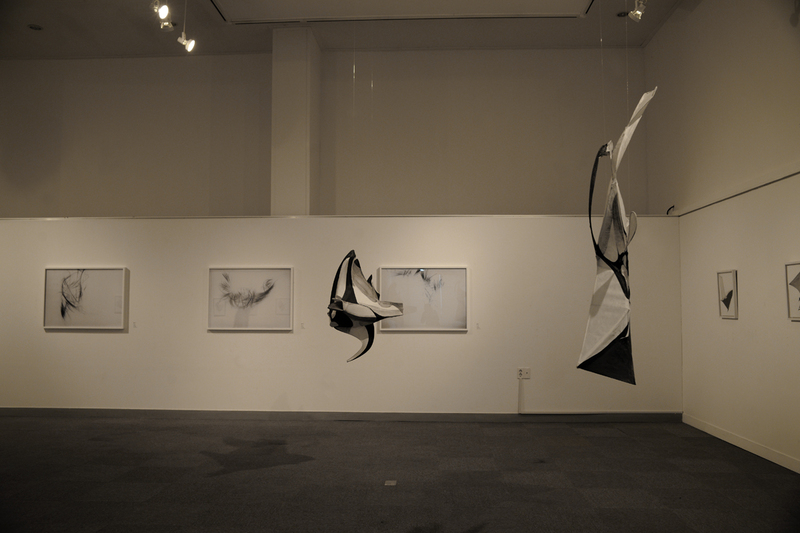 Ji-Yun’s three-dimensional structures use wires to create a weightless framework and lightweight Korean paper to hold the drawings which do not resist gravity, but instead seem almost float in the air by themselves. 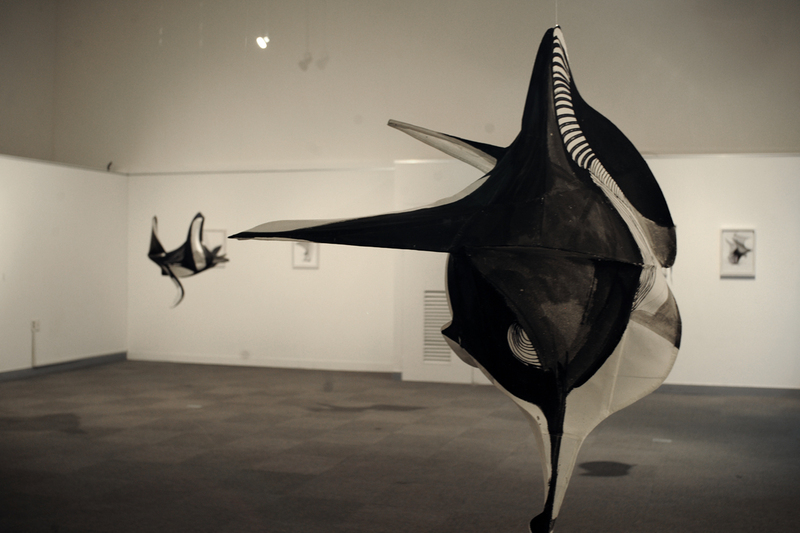 The artist’s use of drawings which are not related to the shape of the framework reinterpret the structure of the human body and making it difficult for the audience to see the framework’s form clearly because of the power of the images. 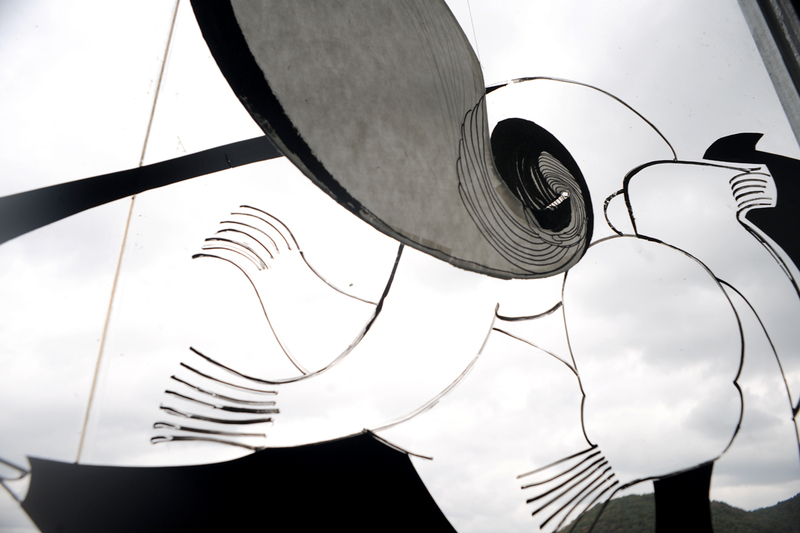 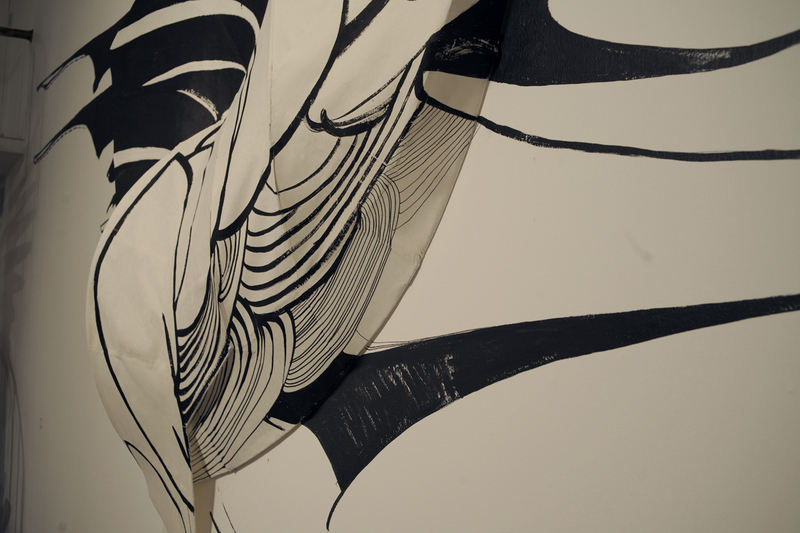 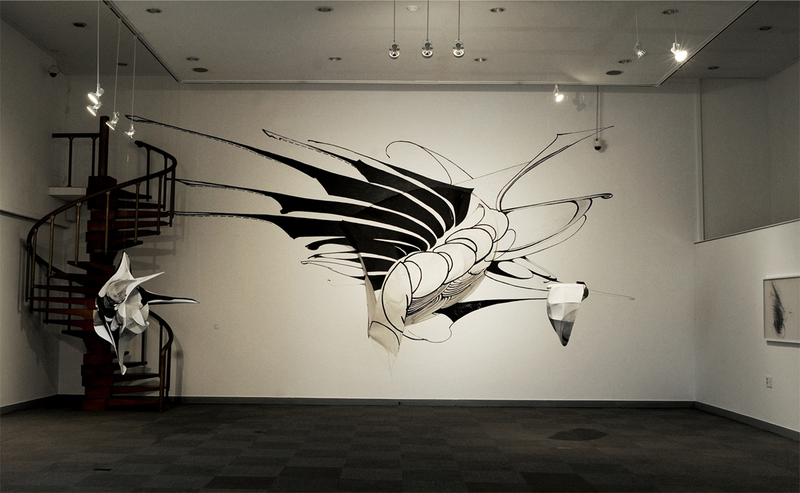 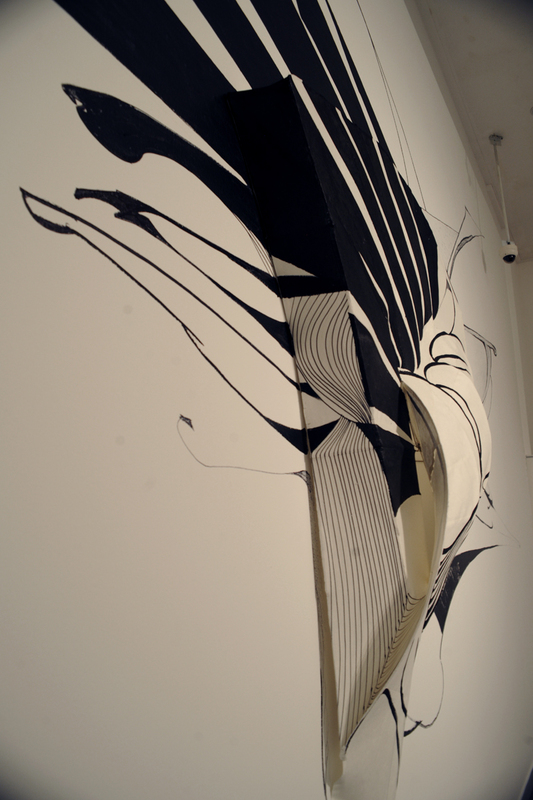 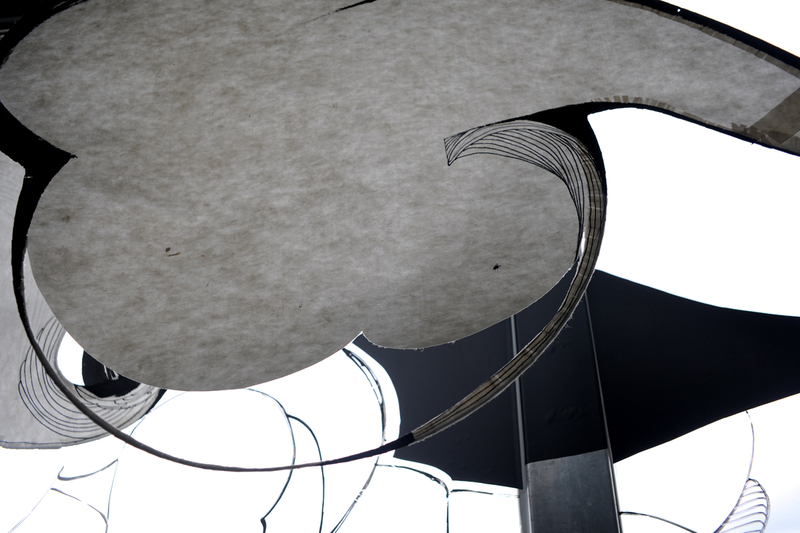 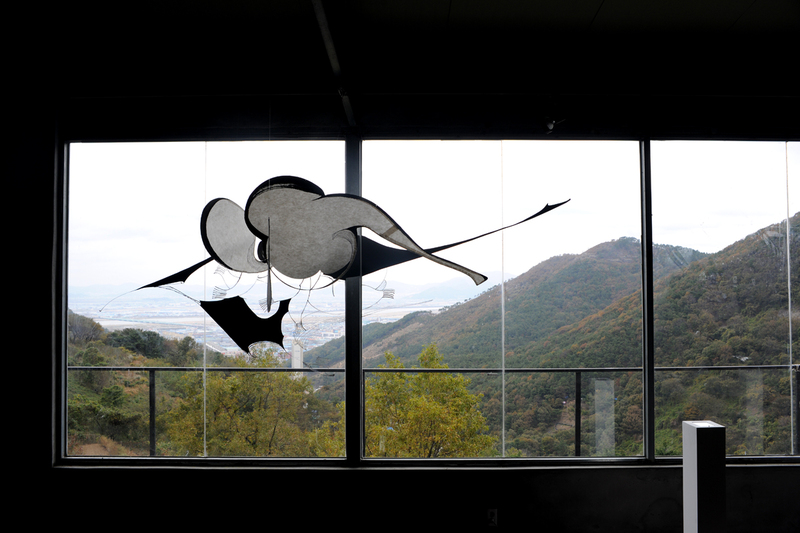 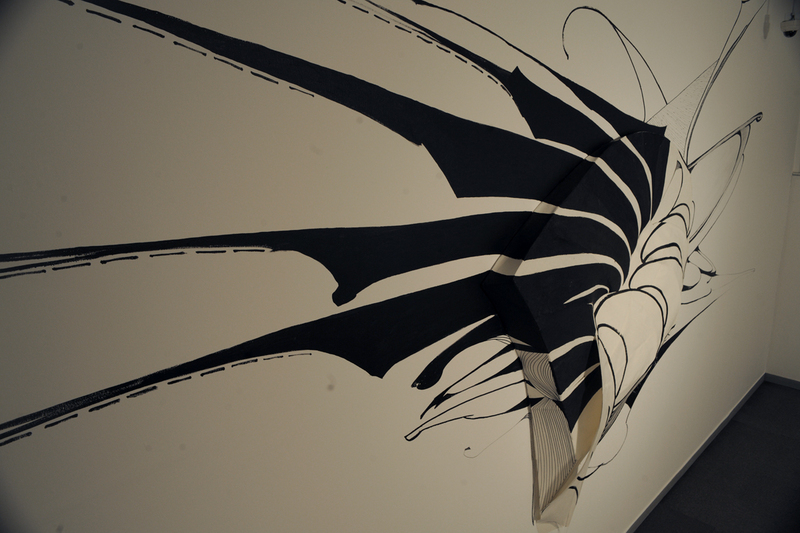 Ji-Yun uses unique organic shapes that are associated with traditional Korean kites to present a new visual experience. 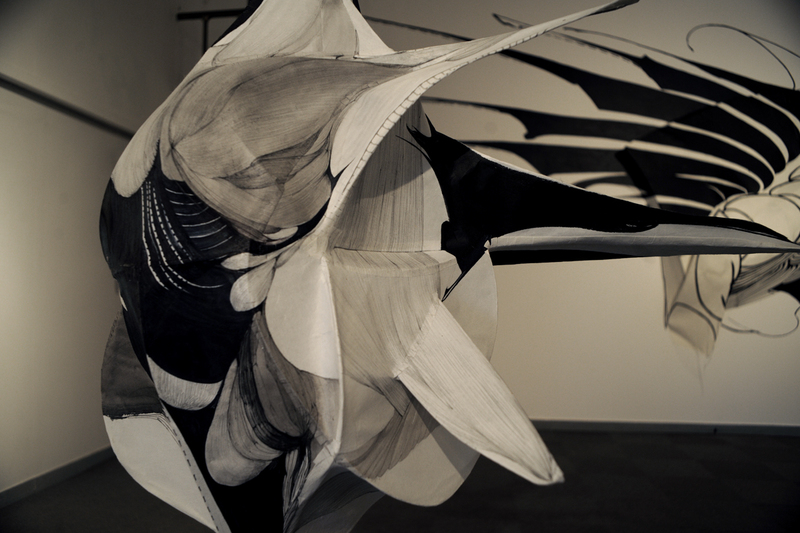 Her work allows you to experience poetic statements on the metaphors of life which lie on the boundary between paintings and sculpture in the world of diversion and imagination.